Gallery with photo examples of different beach house styles and much more in this section to find some inspiration. 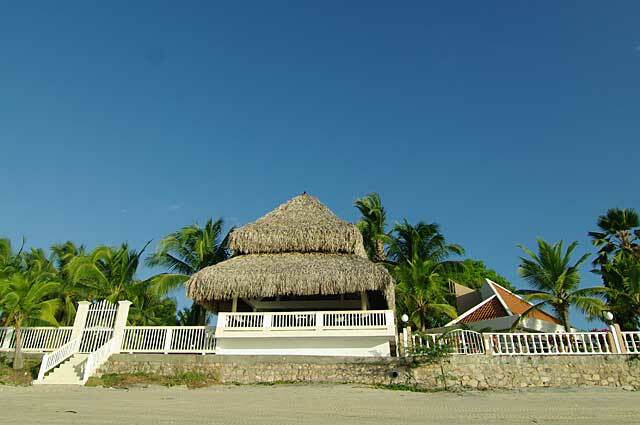 Example of a beach front view of a property with a protective wall along the beach and a bohio with a roof covered with palm leafs. Ideas, photos, step by step guides and many tips for building or remodeling your own dream house. Building-a-house.com © 2009.